It’s Monday morning, and today we leave for a week of Youth Camp! 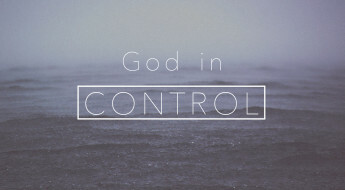 I always look forward to camp and to seeing God do amazing things in the lives of our students. But, Youth Camp can also be a bit stressful when you are one of the leaders for your group. The prep beforehand is enough to make anyone never want to leave home again. 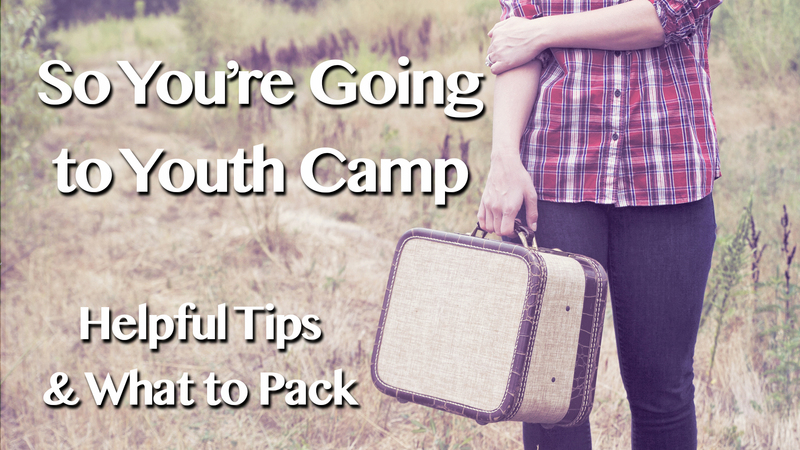 Over time, though, I have found some helpful tips and things to pack to make camp a better experience for everyone. Find different ways to make memories. I have done this in a number of different ways over the years. Usually, it’s when something goes wrong or isn’t ideal that you can creatively put a spin on it to make it a memory. One year, on our way home from camp, our trailer got stuck in the mud. While we worked to free the trailer and van, we had our students singing songs on the side of the road. Our students still talk about that experience to this day as one of their favorite camp memories. Go in with a night-time and morning-time plan. Without a plan, your students will want to stay up too late and will be unwilling to get out of bed in the morning. By having a plan, you can get your room to sleep quicker and up in the morning faster. Every morning of camp, I wake the girls up by singing obnoxious songs until everyone is sitting up in their bed. You only have to sing the chorus of Justin Beiber’s “Baby” or Rebecca Black’s “Friday” once or twice before everyone is sitting up and yelling at you to stop. Write a note of encouragement for your students to read halfway through the week. Our camp passes out the letters that come to camp in front of all of the students from all of the churches, and our students love having to run up to the front to get their cards. A week before camp, we get together with all of our youth leaders and write out the notes together. Each student who goes to camp gets a letter from a leader, as well as a note from either my husband or myself. We use this to let the students know that they are loved and are being prayed for, and it is a nice little extra touch to make camp a memorable experience. Depending on your room setup, bringing extra extension cords to expand the number of outlets is a must! A room full of girls often need more outlets for hair dryers and straighteners. Just make sure you’re okay to do this and won’t trip the breaker. Packing a small alarm clock is also a necessity. Our camp encourages students to unplug from their cellphone, which is great to connect with God, but often leaves students without a way to know the time. Having a small clock in your room will prevent your students from asking you every 5 minutes what time it is. The other must-have item to pack is a portable, folding lawn chair. These are convenient to setup in a corner of the room as a place to sit instead of having to crawl into the bottom or top of a bunkbed. These are just some of the helpful tips and some of things to pack that have made my camp experience a more enjoyable one. What are some of your must-have camp items or things that you do that make camp a better experience for everyone? 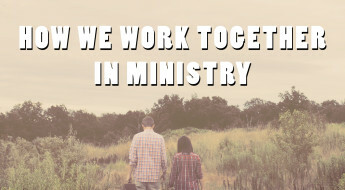 "StuMinWife.com is a place for connecting, resourcing, and encouraging student ministry wives and all women in church leadership. We are stronger together."